Representative Samuel J. Keith. Born in S.C. in 1834, he was called upon and served with S.C. Confederate Forces during the war. Afterward, he was employed as a Carpenter, Contractor, a forceful man within his community, as well as becoming a Republican during this period of great transition and upheaval. During the 1870 Census, he had a personal estate value of $100 and real estate value of $600. From 1870 -1876', Samuel J. Keith served in the S.C. House of Representatives. During his tenure in the House of Representatives, he endorsed the children of his constituents desiring higher education at the state’s premiere school – University of South Carolina – such as A. Milton Hill on January 30, 1872’, and the incorporation of local businesses such as the Darlington Land Joint Stock and Loan Association. As a serving member in the local guard, he was a First Lieutenant in the Lincoln Light Infantry, and secondly, as Company Commander, Alpha Company, Eighth Regiment. Keen to the shifting sands of the political landscape of his time, Samuel J. Keith became a Democrat on September 18, 1878. He was married to Frances and they had one child named Joseph. He is interred in the Darlington Memorial Cemetery. 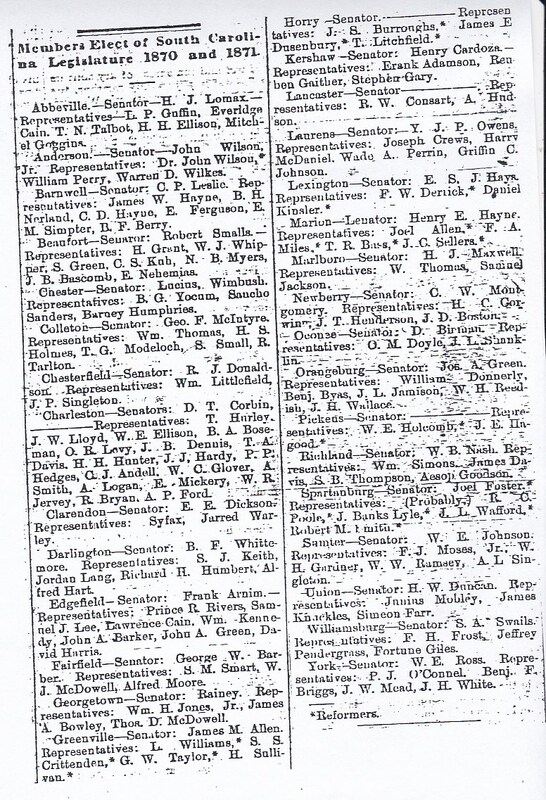 S.C. Legislature Elected Members: 1870 - 1871. 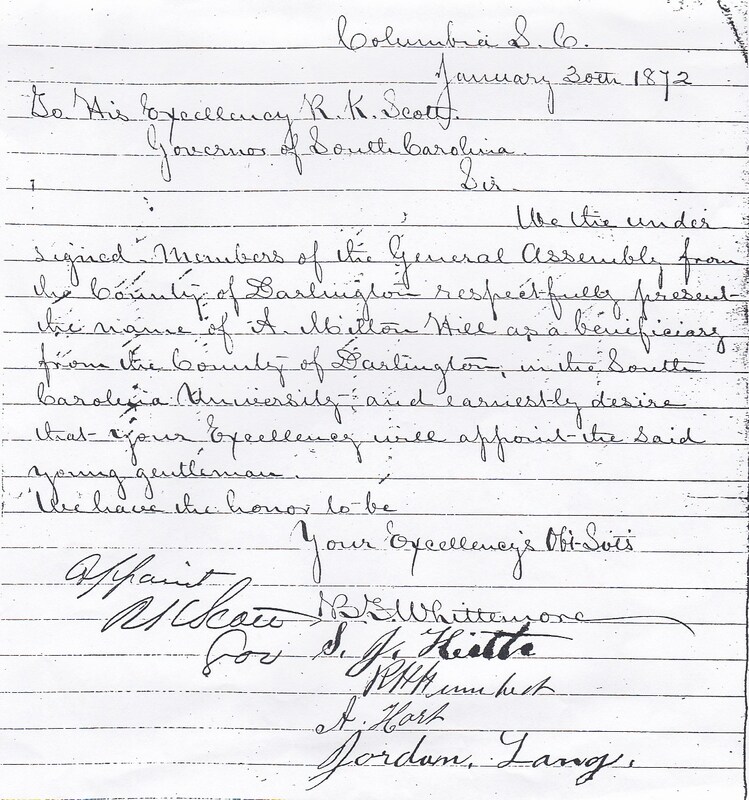 Rep. Samuel J. Keith's endorsement of A. Milton Hill to attend USC to Governor Scott. Darlington Land Joint Stock and Loan Association Incorporation Act - S.C. General Assembly. 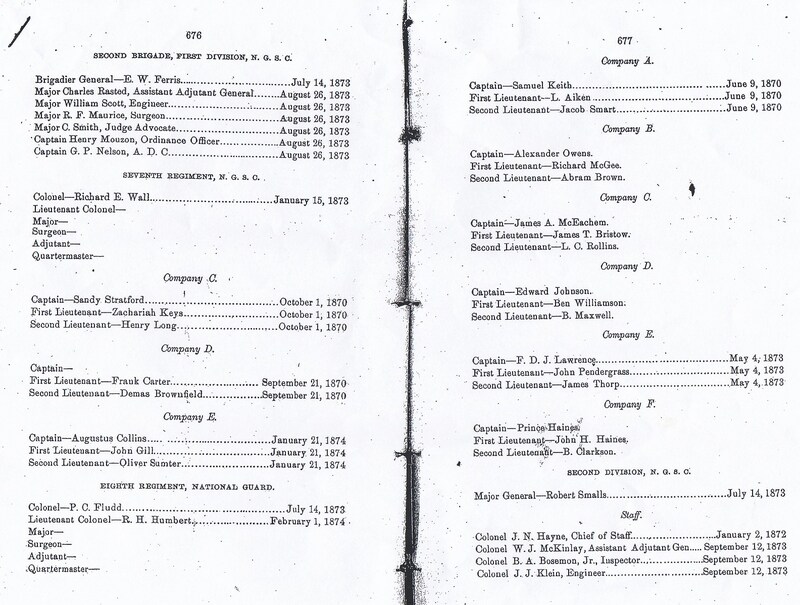 Adjunct and Inspector General Report of South Carolina – Eighth Regiment S.C. Guard, Company A . 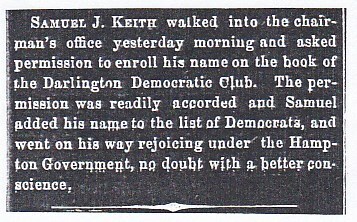 Citizen Samuel J. Keith enrolls into the Democrat Club under the Hampton Government on Sept. 18, 1878. 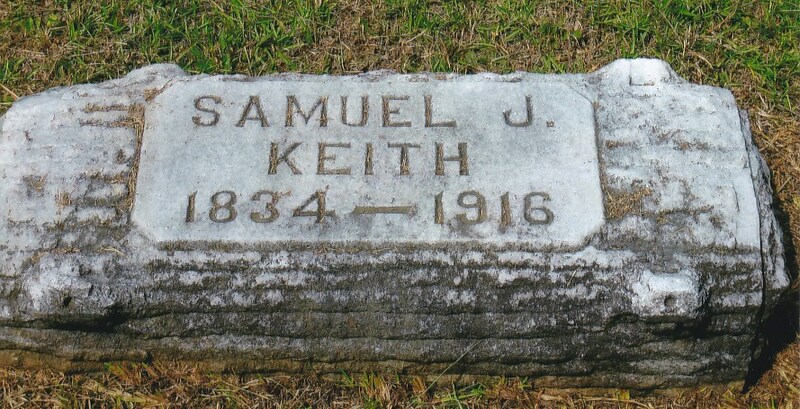 Rep. Samuel J. Keith Headstone. Photo courtesy Darlington County Museum of Ethnic Culture. 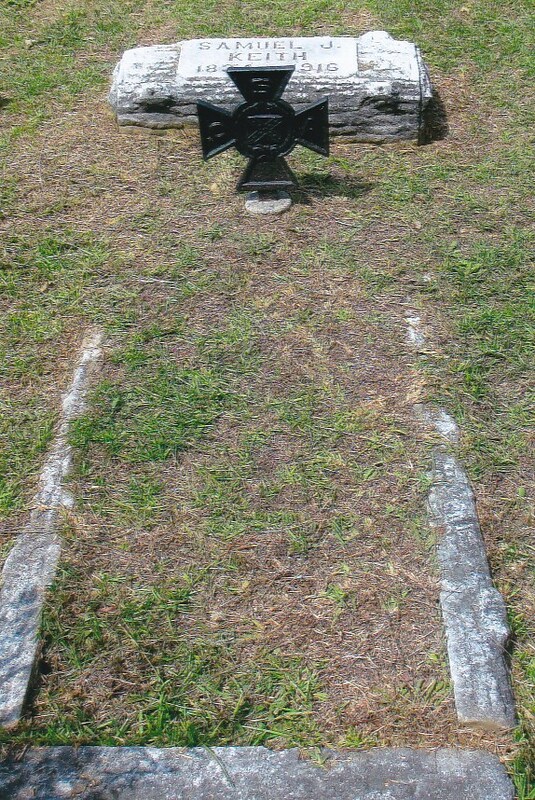 Rep. Samuel J. Keith Grave.